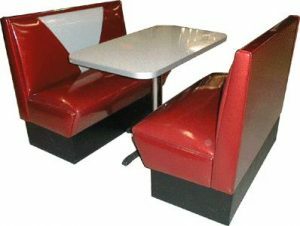 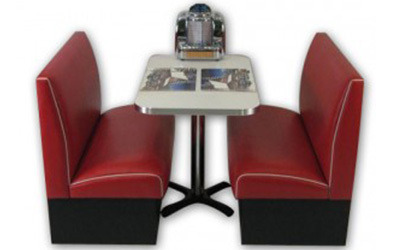 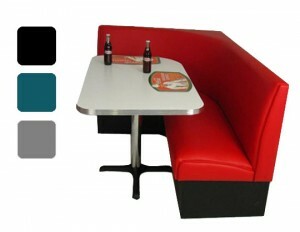 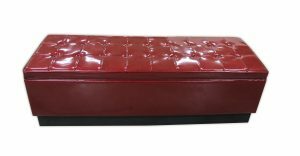 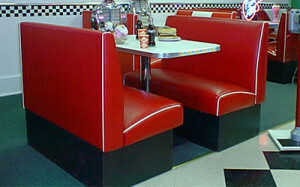 We Offer An Almost Limitless Selection Of Diner Booth Sets That Can Be Ordered In Your Choice Of Color And Size. 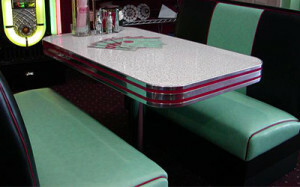 All of our diner booth sets include a heavy duty table, with real metal banding and a chrome column base. 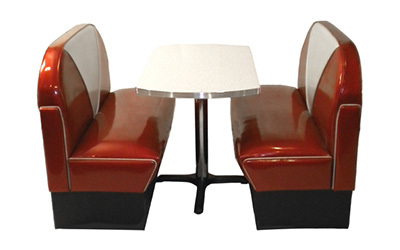 Each traditional diner booth model can be ordered in circle configurations – 1/4, 1/2, 3/4 – or “L” shapes. 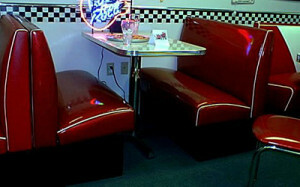 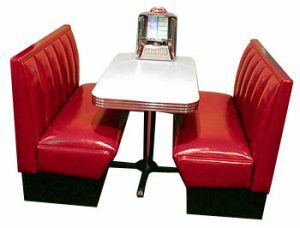 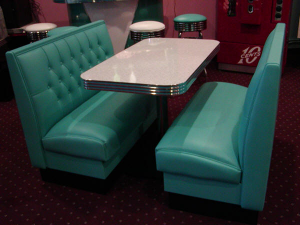 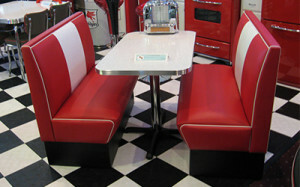 All our diner booths are made in the USA and are built to last! 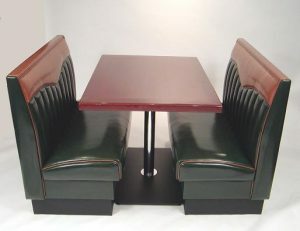 To place an order or to request any customization with detailed pricing information, send us an email or give us a call at 304-728-0547 to place your order. 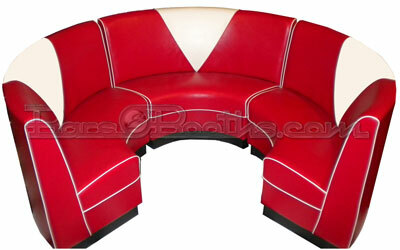 Be sure to CLICK on the image for more detail! 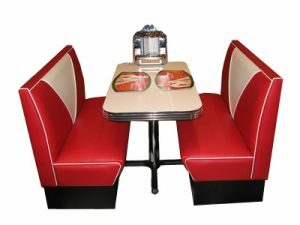 All traditional Diner Booths, “L” Shapes and Circles are now available with Hidden Seat Storage. 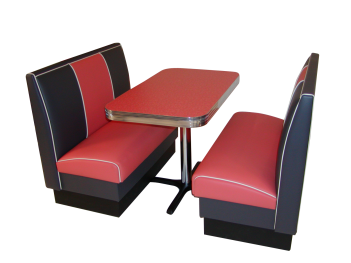 Let us customize any of our standard, traditional booth sets in your choice of vinyls….give us a call!